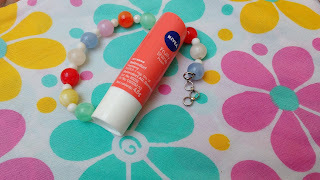 I love nivea lip balms because they are affordable, provide decent hydration and a bit of tint too. This winter instead of buying new lip balms I used up some older ones lying in my stash and Nivea fruity shine peach was one of them. Now that this chap stick is empty I thought I should it is good time to review it . Packaging: Cute color coded twist up stick. These are very travel friendly and can be carried anywhere. 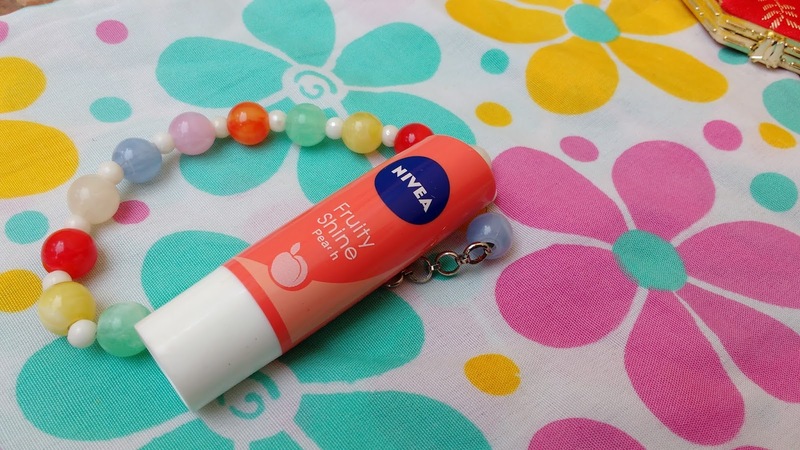 I have been using nivea lip balms for years now but this was the first time i tried peach variant. 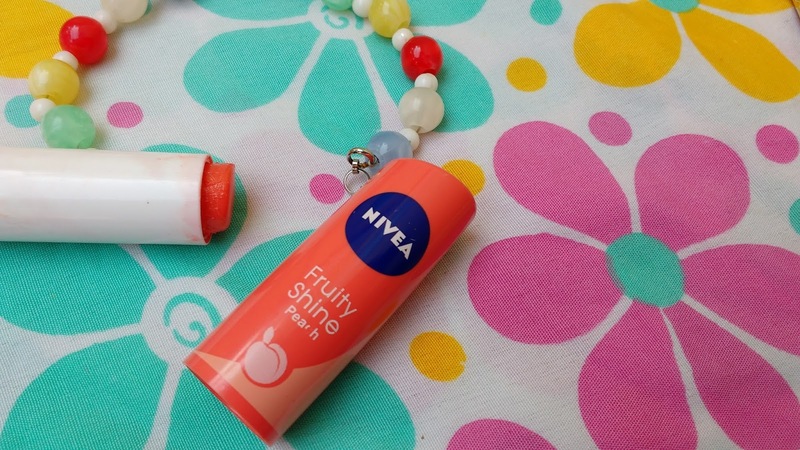 This nivea fruity shine peach balm has a delicious peachy scent to it and glides smoothly on lips. This lip balm feels light on lips and provides decently moisturization upto 2 hours after which reapplication is needed. 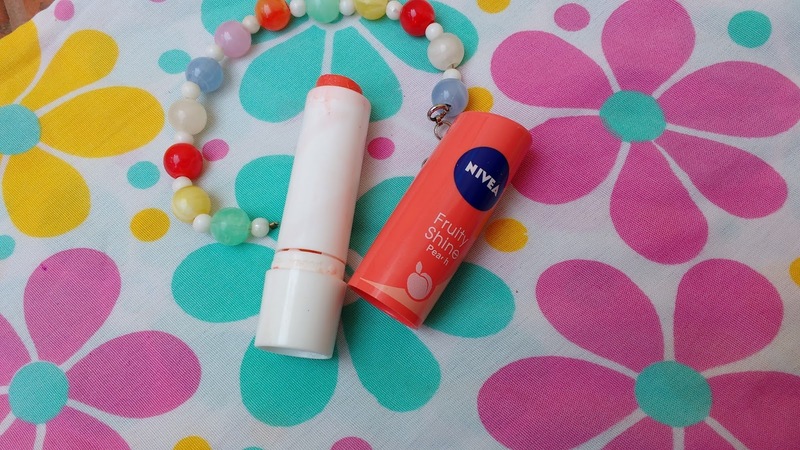 All nivea fruity shine balms i have tried provide moderate hydration but I love them for giving a hint of colour to lips but with peach variant the colour is barely there. Even after multiple swipes I an barely see even a hint of peach on my lips so I use this under my liquid lipsticks during the day. I would prefer if this lip balm added a bit of tint to my lips but otherwise this is actually a good lip balm considering it has a very unique pleasant scent. 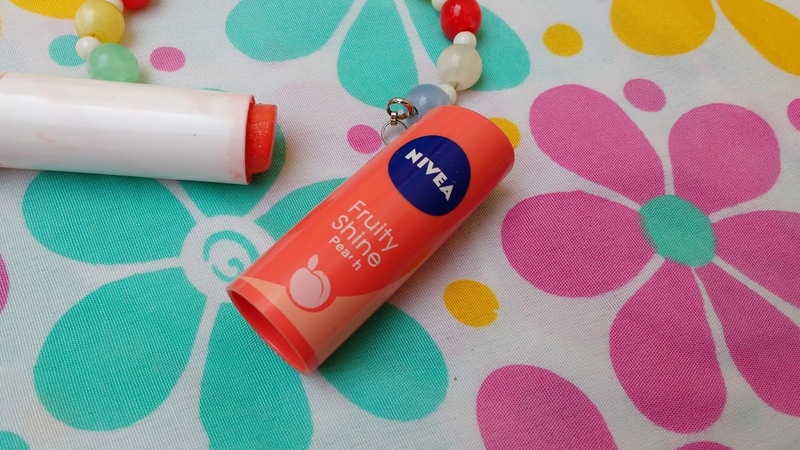 Overall: If you are looking for a non tinted day lip balm to wear under lipsticks Nivea Fruity Shine Peach Lip Balm is a nice pick. This lip balm has a delicious scent but if you want more tint on lips go for other variants from fruity shine range and for more chapped lips maybelline baby lips is a better option.